1600 Fallen Timber Trail, Powhatan, VA 23139 (#1834842) :: Abbitt Realty Co. Welcome to the beauty, and endless privacy that Powhatan has to offer; coupled with the convenience of interstates and fantastic shopping just around the corner. This gorgeous, CUL-DE-SAC, wooded lot boasts roughly 3 acres (Homesite 14), a private driveway, and gorgeous hardwoods from corner to corner! 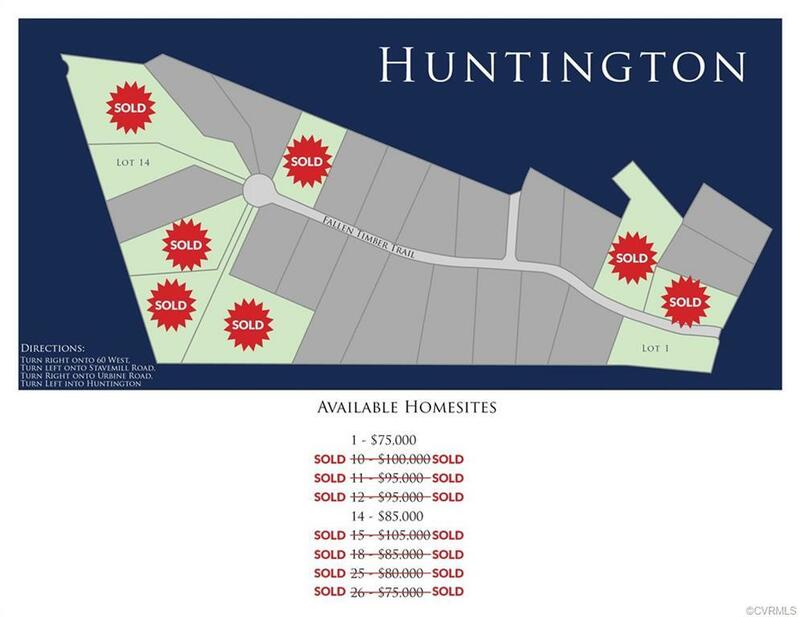 Dont miss out on this fantastic opportunity to be apart of the prestigious Huntington Community!